Finnegan with his new family! He is such a cutie! Everytime I look at Finnegan it makes me so anxious to get my cockalier Bella on Wednesday!! Im so excited! 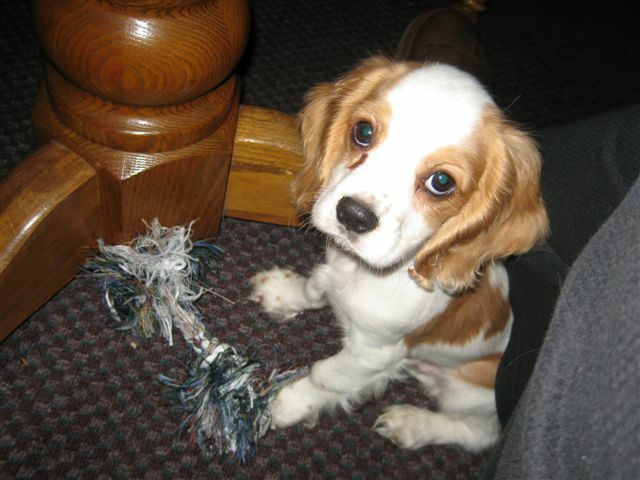 This is our little Finnegan...isn't he just adorable!! Everyone that sees him just LOVES him! !